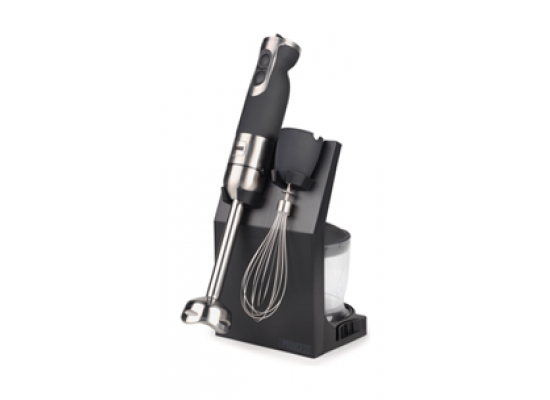 Stick Blender withstand Detachable stainless steel stick and Speed control, A Luxury finished stick blender with detachable stainless steel stick, whisk, measuring cup, chopping bowl and practical storing unit! 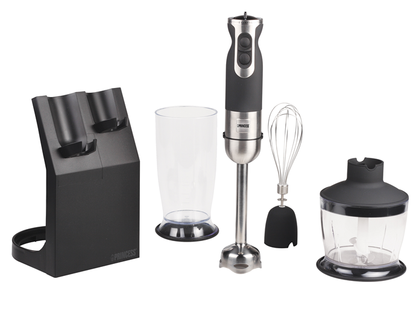 Even when you don’t use this superior set it will be an eyecatcher in every kitchen. Thanks to its clever and unique speed push control, you can adjust the speed with just one hand. The harder you press, the higher speed! Operating a blender was rarely that simple. The holder provides an easy and very practical storage system of all included accessories so you will never lose a part again. 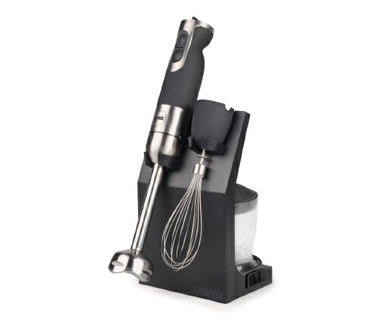 The holder also allows you to place the mixer upright as a real kitchen centrepiece. 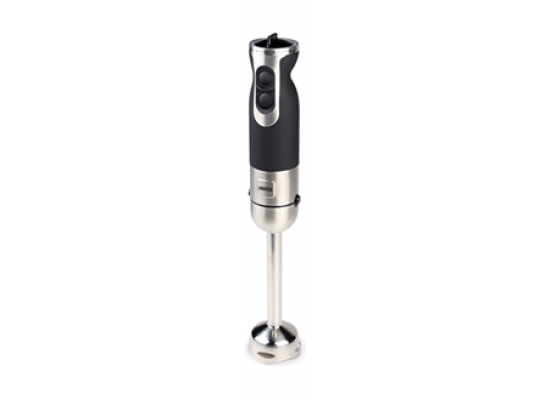 The XL stick is extremely suitable for the preparation of soups, and has a very strong 6-bladed knife. Cleaning is very simple, because the stick can be removed easily. 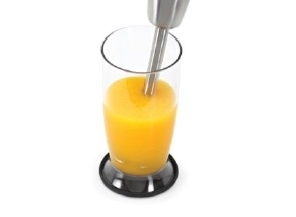 The XL-stick can also be used in combination with the XL measuring cup of 800ml. 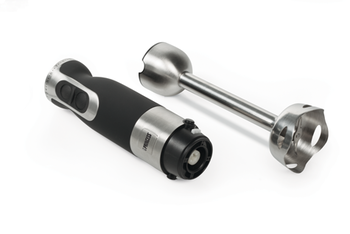 The Soft touch buttons of the stick mixer is easy to read as the the luxurious lights becomes brighter as the speed increases! 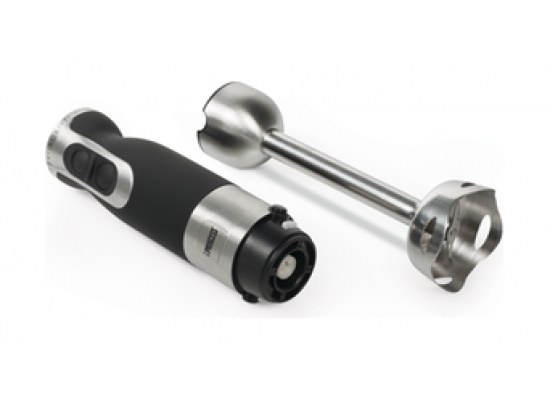 The motor is extremely silent, but with its 600 Watt also incredibly powerful! 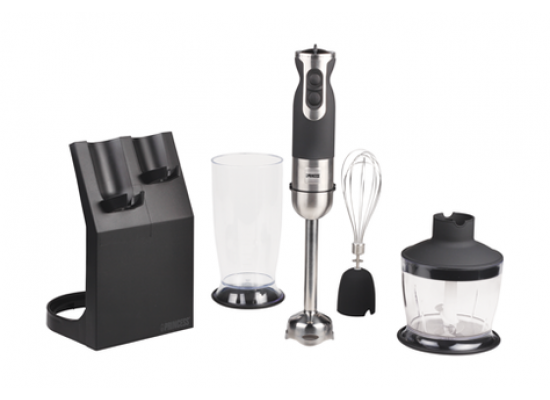 stainless steel blender unit, mixing cup, mincer and whisk.